Well, it looked like a bomb. Sort of. Kinda. The suspicious device blown up by a [Virginia] State Police Bomb Squad Thursday evening turned out to be a weather station. It happened outside the Medical Office Building on the east side of Lewis Gale Medical Center. …[A] visitor contacted authorities after seeing a suspicious object hanging from a tree. Authorities brought out a robot to check it. The device was blown up around 7:00 p.m. At no time was the hospital or any other buildings at Lewis Gale evacuated. Friday afternoon, Salem Police said the package was actually a remote weather station. A hospital employee had attached it to the tree and used putty to weather-proof it. Police say no criminal charges will be filed. They’re a bomb squad and they couldn’t tell the difference between a weather station and a bomb?? July 21, 2007 Posted by oldstersview | Strange	| Comments Off on Well, it looked like a bomb. Sort of. Kinda. For nearly a quarter-century, Sana Kuma has been staring into the bottoms of coffee cups to divine the future for top Israeli models, actresses and businessmen. It is in the chocolate swirls of coffee grounds that the dark-eyed, lemon-blond- haired, 40-something fortuneteller can see what lies ahead. Her fawning customers consider Kuma a sage and soothsayer. To the Israeli government she was a witch and a fraud. This year, Kuma became one of the few people ever to be charged in Israel with practicing magic, a unique crime punishable by up to five years in jail. In short, Kuma was the target of a modern-day witchhunt. Kuma’s transgression is something known to its practitioners as tasseography. Put more simply, it is the ancient art of overturning a coffee cup— usually a demitasse used for Turkish coffee— and looking for answers in the patterns left behind by the grounds. July 21, 2007 Posted by oldstersview | cops, Strange jobs	| Comments Off on How about tea leaves? A gaggle of geese runs riot in the Hof van Delft Park. They honk, they hiss, they harass and — it’s hard not to notice — they scatter droppings everywhere. Soon, a lanky young man comes to impose order on the chaos. Whistling softly and murmuring “tut-tut-tut,” he strides straight toward the center of the flock — a place few would dare to tread, especially wearing clean shoes. They call him “The Goose Whisperer,” and he has a job to do. Martin Hof has become a minor celebrity here, in part for his ability to communicate with fowl, which some say borders on the magical. And while there’s something special, and a little comical, about watching him talking, humming, and yes, whispering to the birds, there’s more to this than meets the eye. 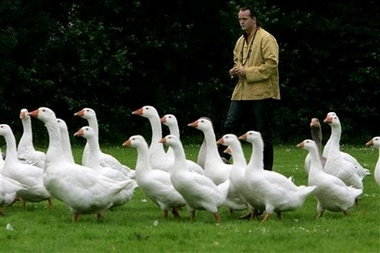 At age 23, Hof has developed an unusual approach to managing urban geese populations that is gaining adherents in the animal-friendly Netherlands — the first country in the world with an animal rights party in parliament. 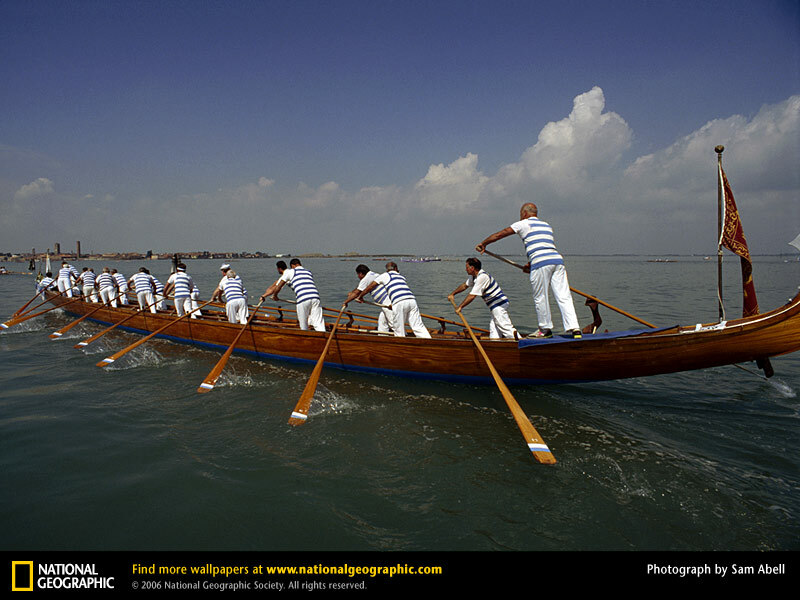 July 21, 2007 Posted by oldstersview | animals, Strange jobs	| Comments Off on Goose Whisperer? Umm, right.